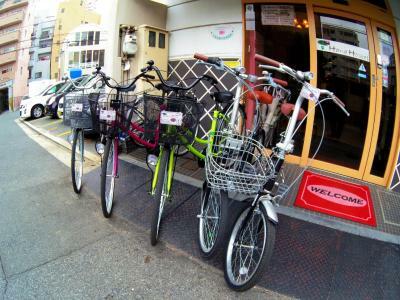 Lock in a great price for Hiroshima Hana Hostel – rated 8.3 by recent guests! Loved how close this hostel was to the station, which was then easy to access jr line trains to other places in the surrounding prefecture, and buses/trams to things around the city. We also loved how friendly the staff and others guests were. Everything was kept very clean, and the facilities (kitchen with lounge eating area, washing and drying machines, and upstairs lounge) were excellent. It was only a few minute walk from Hiroshima Station, which was the best part about the location. My friend and I only needed a place to hang our hat for the night, as we only stayed the one night, but it was all we needed. Located in main city in Hiroshima where we have access to trams, buses, taxis and even for shinkansen trains (Bullet trains ) to go for various places. We can even go by walk to all the site seeing places by seeing environment. Nice place to stay and even the staffs were very friendly to guide. Thank you. Cute room, super nice (shared) bathroom with bath and shower. The staff was really friendly and gave a lot of tips on where to eat and what special events were going on in the city. Great place, with a very convenient location. The room was very clean and comfortable. A short walk from the station, very nice staff, and they have good guide for food around the area. 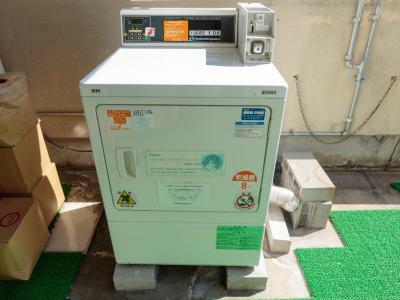 Coin laundry is convenient for a long trip. Common areas were clean with everything you need. 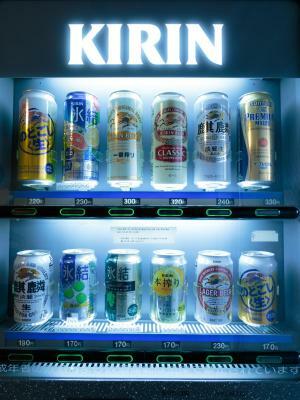 They even have a vending machine for beers. It was close to Hiroshima Station. I arrived pretty late that night, so it saved me cause I didn't have to worry about taking buses or other transportations to get there. 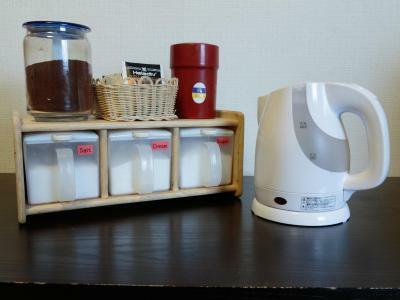 Hiroshima Hana Hostel This rating is a reflection of how the property compares to the industry standard when it comes to price, facilities and services available. It's based on a self-evaluation by the property. Use this rating to help choose your stay! The nonsmoking Hiroshima Hana Hostel is a 5-minute walk from JR Hiroshima Train Station and a 15-minute tram ride from the Atomic Bomb Dome. It offers free WiFi throughout the property, rental bicycles and a free-use kitchen. 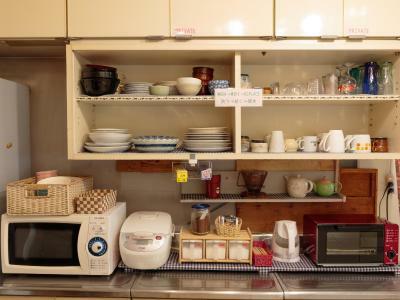 Both dormitory rooms with bunk beds and private Japanese-style rooms with futon bedding are on offer, all with air conditioning and heating. 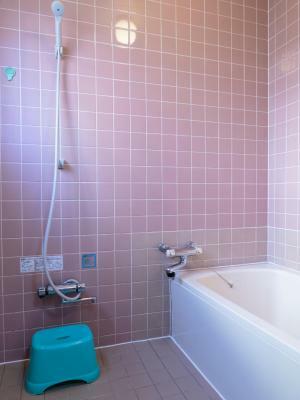 The Japanese rooms have a traditional tatami (woven-straw) floor, an LCD TV and a private toilet. Towels can be rented. 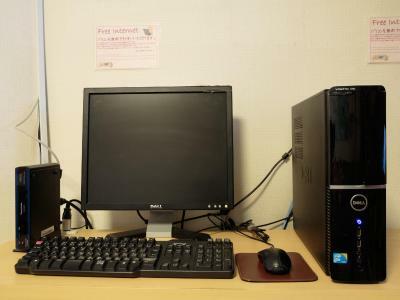 Guests without their own laptop can use one of the hostel’s free internet PCs. 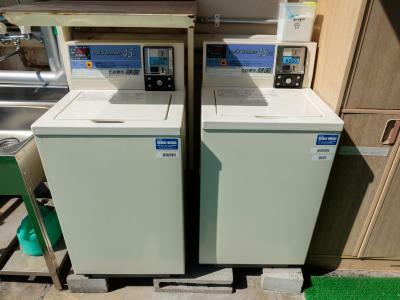 Guests can relax in the living room and use a coin launderette is available on site. 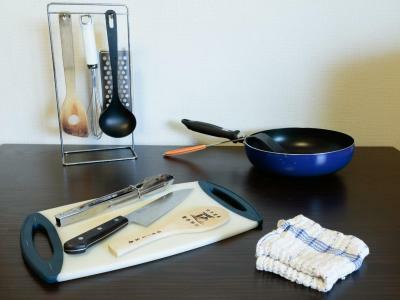 The shared-use kitchen includes kitchenware, drinks vending machine and seasonings. 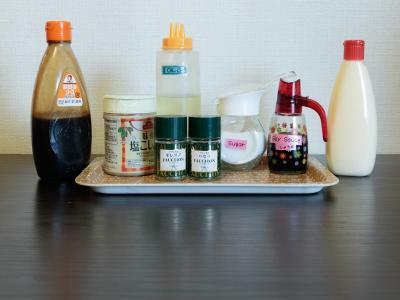 A convenience store and a supermarket are both within a 5-minute walk. Enkobashicho Tram Station is 1,000 feet from Hiroshima Hana Hostel, and Hiroshima Peace Memorial Museum is 1.9 mi away. 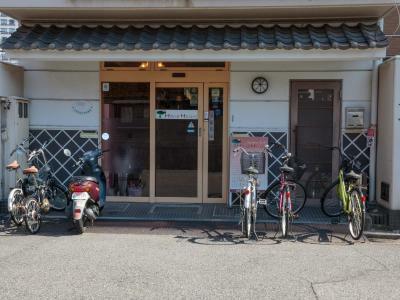 Hiroshima Airport is 45-minutes away by car from this hostel. 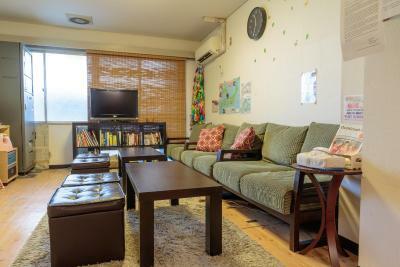 뀐 Located in the real heart of Hiroshima, this property has an excellent location score of 8.7! 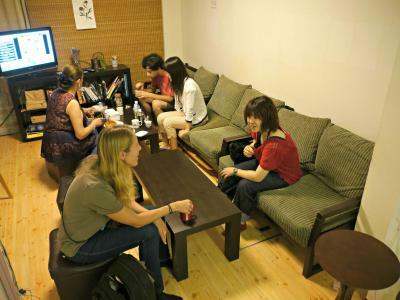 When would you like to stay at Hiroshima Hana Hostel? Air-conditioned room with an LCD TV, a private toilet and a sink. Free WiFi is provided. Price includes 1 bunk in an air-conditioned room with up to 3 other guests and free WiFi. Bathrooms and toilets are shared. Each bunk has a light, socket near the bed and privacy curtain, and lockers are available. Bunks are limited to one person per bunk. 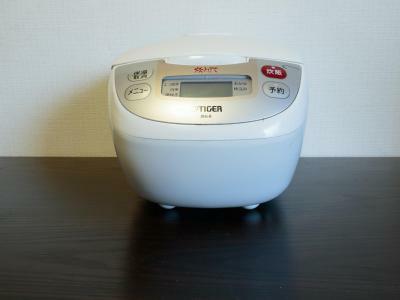 Guests must be at least 18 years old to stay in a dormitory room. Air-conditioned room with an LCD TV and free WiFi. Body soap and shampoo are provided. Features bunk beds for up to 4 guests. Air-conditioned room with a TV, a private toilet and a sink. Bathroom is shared with a hairdryer. Free WiFi is provided. Each bunk has a light and socket near the bed. Air-conditioned room with a TV and desk. The private bathroom with a bath tub and hairdryer. Free WiFi is provided. Price includes 1 bunk in an air-conditioned room with up to 3 other guests and free WiFi. Bathrooms and toilets are shared with a hairdryer. Each bunk has a light, socket near the bed and privacy curtain, and lockers are available. Air-conditioned room fitted with 2 bunk beds, sleeping up to 4 guests on single bunks. It comes with a TV, socket near the bed, an attached toilet and sink with a hairdryer, while bathrooms are shared. Free WiFi is available. Features tatami (woven-straw) flooring and Japanese futon bedding. Includes a private shower, toilet and sink with a hairdryer. The air-conditioned room comes with a TV, low table and free WiFi. 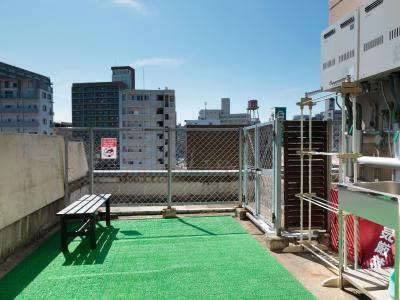 Features tatami (woven-straw) flooring and Japanese futon bedding with a low table. Bathrooms are shared. 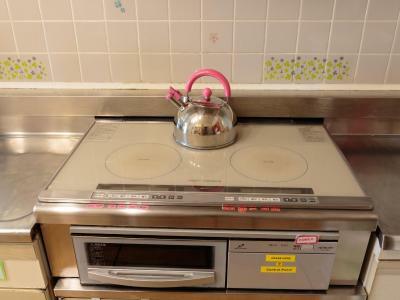 Air-conditioned room with an LCD TV, a private toilet and sink with a hairdryer. Free WiFi is provided. 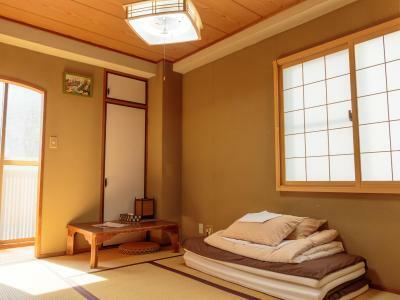 This room features tatami (woven-straw) flooring and Japanese futon bedding with a low table. Includes a private shower, toilet and sink with a hairdryer. This double room has air conditioning with a low table. The private bathroom is equipped with a hairdryer. 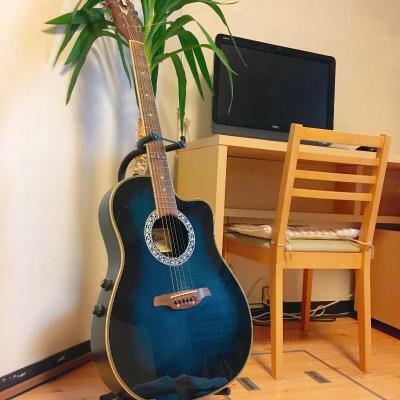 House Rules Hiroshima Hana Hostel takes special requests – add in the next step! One older child or adult is charged JPY 2500 per person per night in an extra bed. 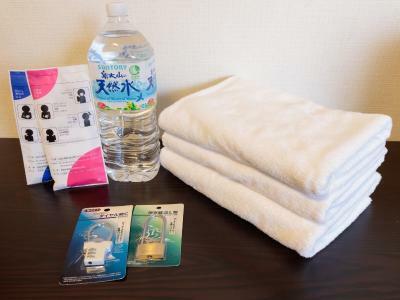 Hiroshima Hana Hostel accepts these cards and reserves the right to temporarily hold an amount prior to arrival. Smoking is permitted only in front of the entrance on the first floor. Guests must be at least 18 years old to stay in the Dormitory Room. Guests under 18 years of age must stay with a guest of 18 years or older in order to stay in private rooms. The property's door is open from 08:00-14:00 and 15:00-22:00. Please let the property know in advance if you are planning to arrive outside the opening hours. The property will contact you and tell you how to get in. 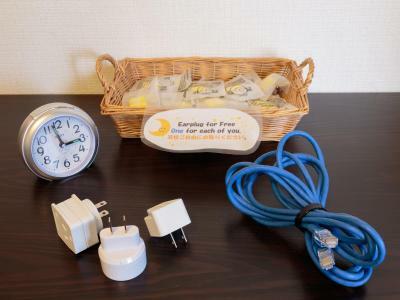 Guests can use the property's common space before the check-in time (15:00). On-site luggage storage is available prior to check-in on the day of arrival. Guests are kindly advised to keep the noise level down in the common area. Please note this property is a hostel, and guest rooms do not come with free toiletries. Guests are required to make their own beds. Common areas, such as the kitchen, living room, shower rooms, toilets and sinks are shared with other guests. I liked everything! Value for money! We stayed in Hana hostels before and this one is equally good. Location excellent at 5 mins walk from the station. 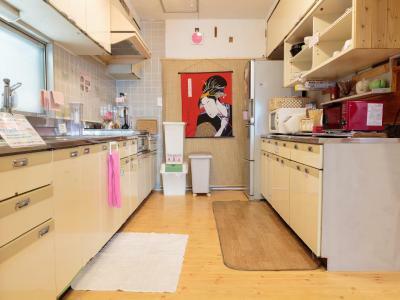 Restaurants and shops nearby, plus there is a common room and equipped kitchen. 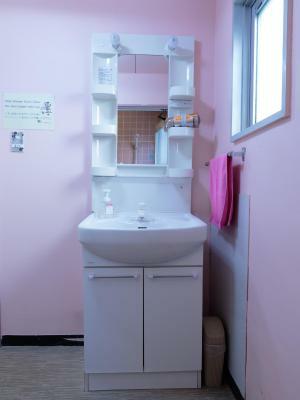 Female dorms have a private (but tiny) bathroom. 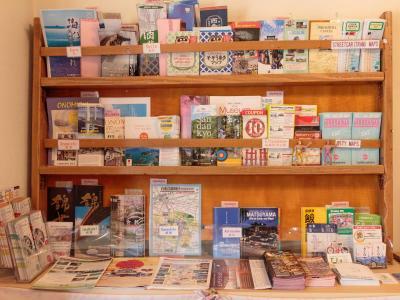 Staff is super friendly and advice on sightseeing and travel routes is provided. Once a week Yoko, a volunteer guide, gives a free tour of the memorial sites. It’s excellent and as a local she has her own and her family’s story to share, complete with photobook and all. If you have a chance to go, highly recommended!! We had to put the sheets on the bed and take them off ourselves. Friendly english speaking staff. 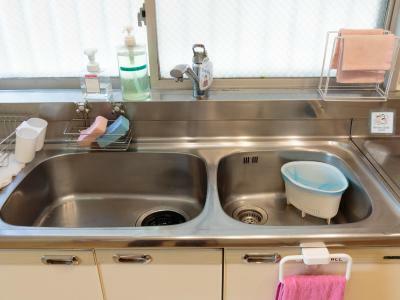 Amenities as expected for a hostel plus laundry facilities. Very comfortable. Could sleep well. The only minus is that the WiFi on the 4th floor didn’t work. But maybe it will be fixed by now. 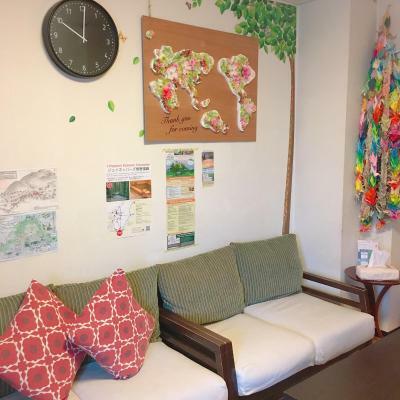 I enjoyed staying at Hana Hostel for three nights in April! 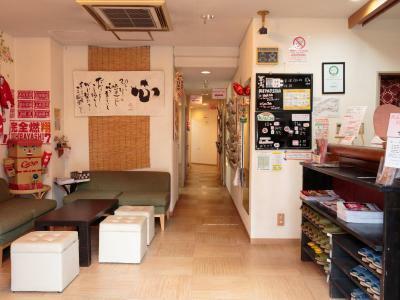 It was located great in walking distance from the JR station and close to convenience stores. The staff was very friendly and always ready to help and give travel tips! The facilities were great and clean! The female dorm had its own toilet and shower which was great. 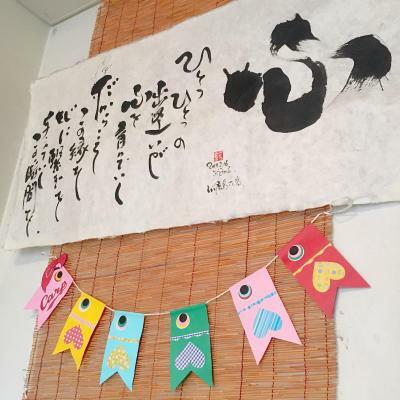 I would definitely recommend travelers to stay here in Hiroshima. Nothing . I absolutely recommend this property, even with 2X the price I paid. 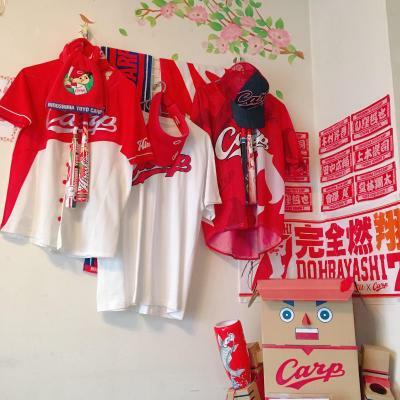 Literally 2 minutes walk from Hiroshima Station. Basic but comfortable. Seems like the management has thought about what question you may have with anything in the property, and answered them ... put exact necessary things at right place. I can’t recommend it enough. The staff were very friendly and willing to help and give directions. 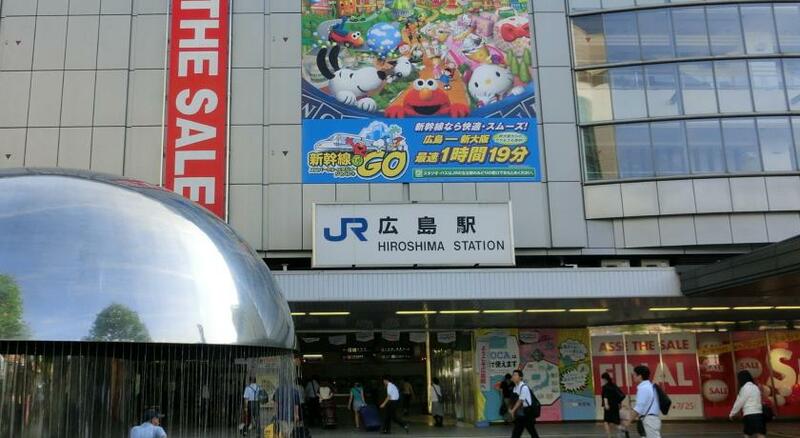 The location was very close to the Hiroshima station only few minutes walking. 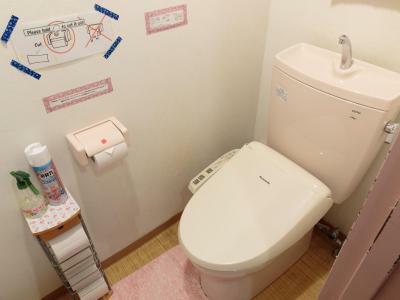 We had a Japanese style bedroom with toilet and it was very clean. Showers are share but they are clean. We had a really good time there. Definitely come back again. Is by the 🚈railway station lot of noise. Shower was dirty, I understand buildings are old and small but there is no excuse for dirt. 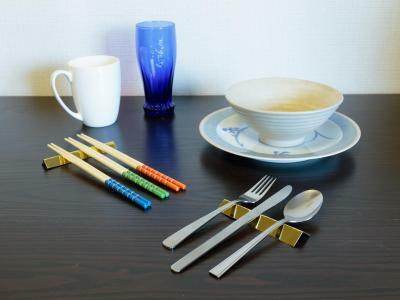 No breakfast. The toilet was really cold,and the sheets were a bit dusty. The kitchen was really comfy n had toys to play with,it was quite convenient. It is a hostel not a hotel so it was what we expected. However there was no wi-fi on our first night/morning and the mattress was old and way too soft. Great location and friendly welcome. The parking situation is not really made clear in the ad. At the top, it says there is parking, but after checking in, I was told a reservation was needed. After checking the ad again, it says WAAAY at the bottom that you need a reservation, but even then, you to have to contact the hostel separately from your reservation. It would be nice if they added the parking directly into the reservation process, like many other listings do. Aside from that, the futons were so-so. Not the best, not the worst. 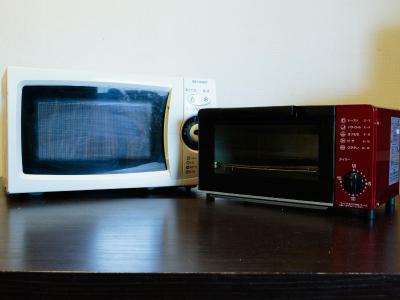 Very basic hotel. Very noisy as next to the train tracks and trains run throughout the night. The place was fairly easy to find but a longer distance from the train station as we had expected and as advertised. The place was next to the train tracks and the train runs throughout the night, disturbing our sleep as it was really noisy.